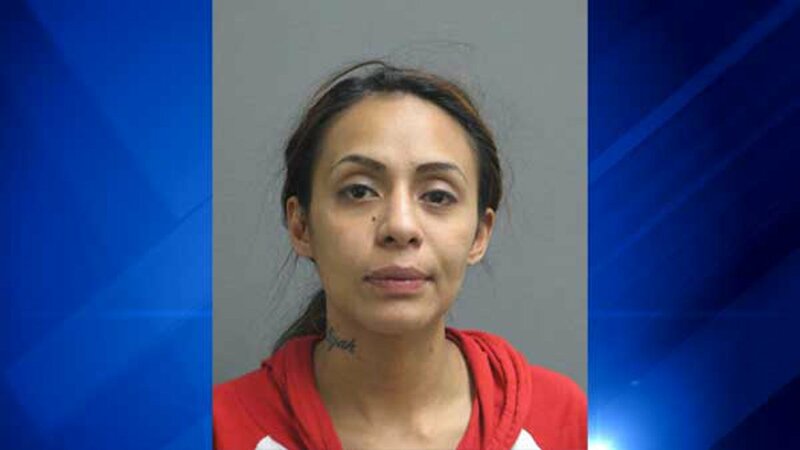 RIVERSIDE, Ill. (WLS) -- A 23-year-old woman from Chicago faces several charges, including aggravated DUI, after police said she was caught driving drunk with three small children in the car in west suburban Riverside. Just before 12:55 a.m. Monday, an officer clocked a southbound vehicle traveling 51 mph in a 35 mph zone in the 3500-block of Harlem Avenue. As the officer tried to catch up, the driver allegedly swerved to the right, "violently" struck a curb, drove onto the grass and veered back onto Harlem. The officer eventually pulled over the driver, identified as Lucero M. Reyes, in the 3600-block of Harlem and smelled alcohol on her breath. The officer said the odor was strong. When asked for her driver's license, Reyes told the officer she didn't have one and that she had been arrested before for driving without a license. Reyes failed all of the field sobriety tests the officer conducted at the scene. She was arrested. Then the officer noticed two boys, ages 5 and 12, and a 7-month-old girl were also in the car. Police said there were also two highly intoxicated adults in the vehicle. They were all taken back to the station, where officers called relatives to take care of the children. Police also called the Department of Children and Family Services. Reyes told police she had been "partying" and drinking "Bud." Officers found open cans of Budweiser in the car, which were still cold. She took a breathalyzer test and blew a .124, which is higher than the legal limit of .08. Reyes, of the 5300-block of South Austin Boulevard, was charged with felony aggravated DUI, endangering the life of a child, speeding, improper lane usage, no valid Illinois driver's license and no insurance. Police found out she had, in fact, been stopped in Riverside in April 2016. She was pulled over for speeding, arrested for driving without a license and charged with the same. Authorities said she "never had a driver's license and never attempted to obtain on in Illinois."